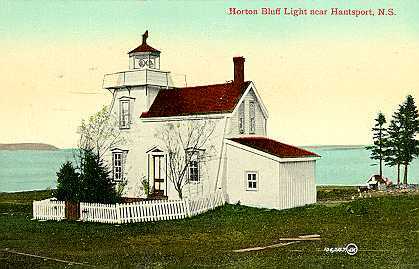 In1883, the Horton Lighthouse was a typical combination keeper's house and lighthouse constructed of timber. 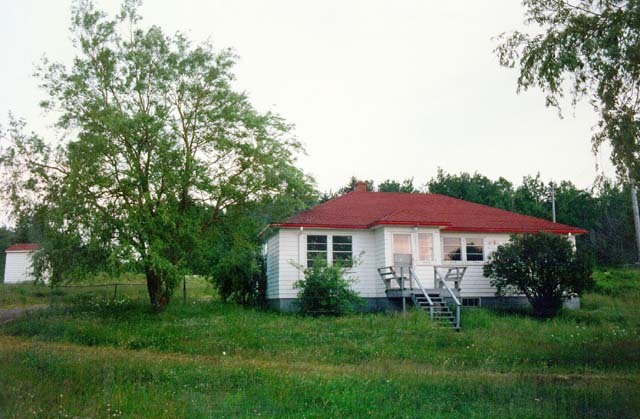 The 1960's keepers house at Horton Bluff. In1992 the light was electric and fixed green. 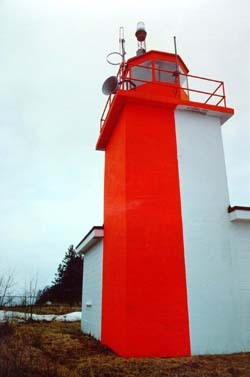 The current light is the front beacon of a set of range lights. It is a square concrete tower attached to the concrete equipment building. White tower, red stripe, rear Toer is 29 feet. Light 88 feet above datum. 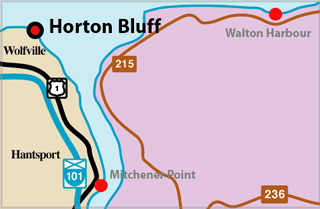 The light is located on a bluff, at the west side entrance to the Avon River. Structure Type: White tower, red stripe. Front Range Light. Raer is skeleton tower. Light Height: 088ft feet above water level.